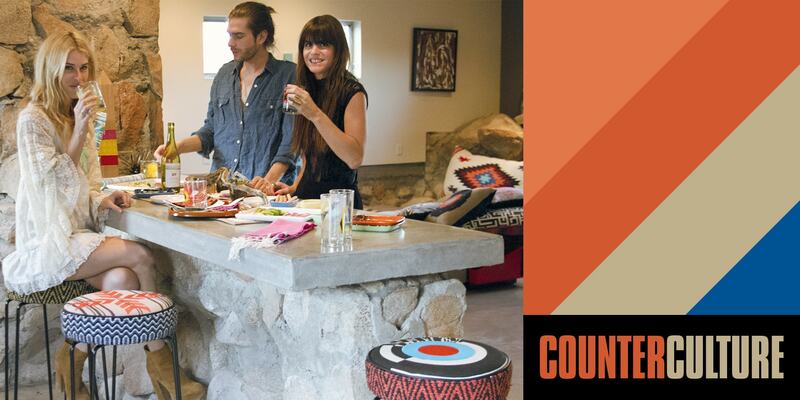 Elevate your experience, these Caravan inspired barstools pop in three bold flavors. 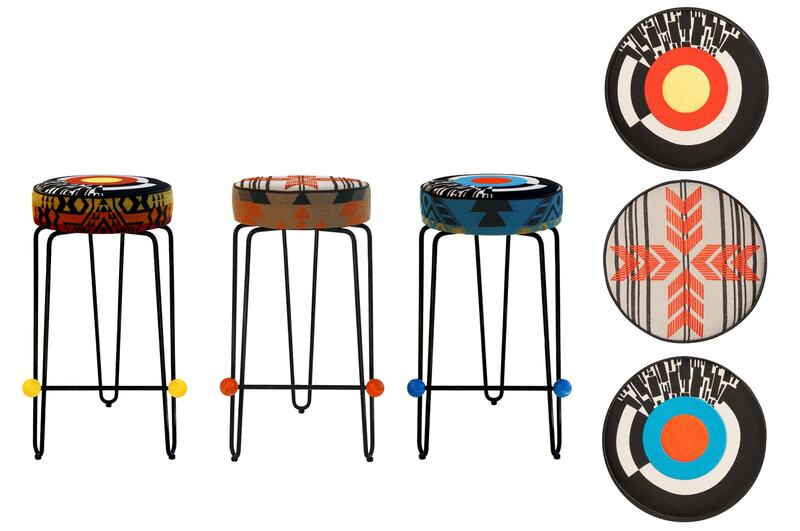 The eclectic mix of embroidered and silk-screened seat cushions atop sleek mid-century inspired hairpin legs puts a twist on a modern classic. Each footrest boasts bold steel spheres in bright powder-coated colors perfect for work or play. The Mirage Table and Mesa Bench bridge the gap between tough and luxe… perfect union between the dramatic and the minimal. Hard edge steel elements juxtapose with gloss lacquer and ebony veneer to create a blend of material yin and yang. 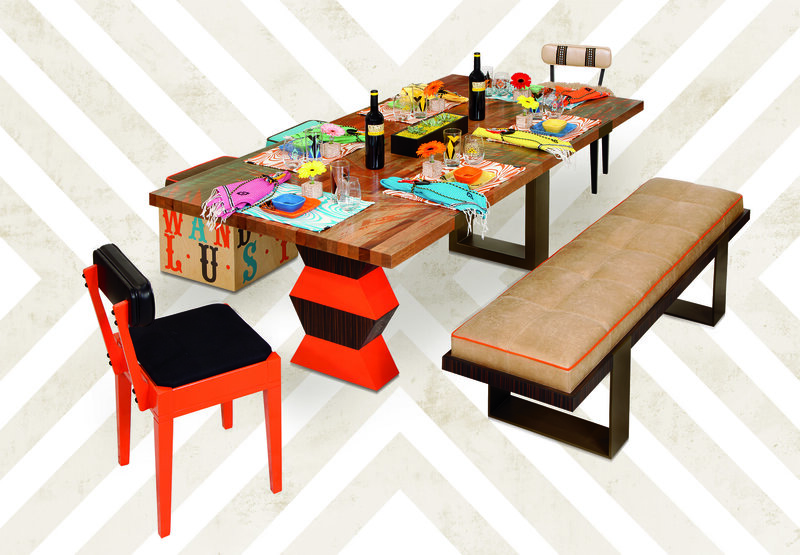 The Mesa Bench-Runway with its’ geometric steel legs, acid washed gold metallic hide and integrated Hip to Be Square steel tray, holds everything from magazines to mimosas. Fresh from the catwalk, the Mesa Bench-Luxe offers an unexpected hit of fashionable glam, with its’ gold metallic leather upholstery. Products designed for DGoods.